What tattoo art has to do with fashion, vintage atlases and Nazi concentration camps. We’ve always been fascinated by maps — through various elements of design, from typography to color theory to data visualization, they brilliantly condense and capture complex notions about space, scale, topography, politics and more. But where things get most interesting is that elusive intersection of the traditional and the experimental, where artists explore the map medium as a conceptual tool of abstract representation. 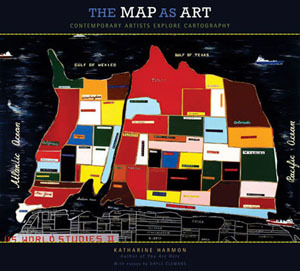 And that’s exactly what The Map of the Art, a fantastic Morning News piece by Katharine Harmon, examines. Schoenaerts, a conceptual photographer living in Amsterdam, constructs countries and continents out of clothing. 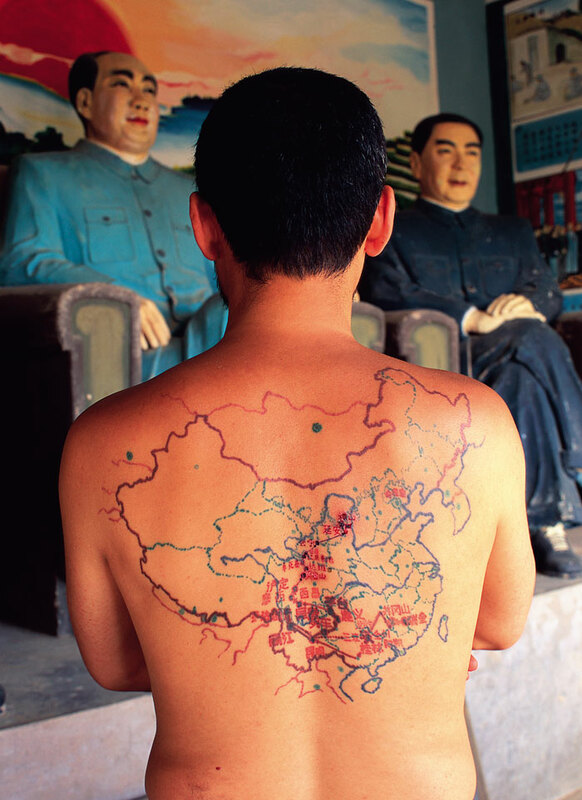 In 2002, China’s Long March Project embarked upon a ‘Walking Visual Display’ along the route of the 1934-1936 historic 6000-mile Long March, and Beijing-based artist Qin kept tracked the group’s route in a tattooed map on his back. Three years later, Qin continued the trek where the original marchers had left off, accompanied by a camera crew and a tattoo artist, who continually updated the map on Qin’s back. Continue reading at BrainPickings . . . Welcome to the beta release of the Text Layout Framework for Adobe® Flash® Player 10 and Adobe AIR® 1.5. The Text Layout Framework is an extensible library, built on the new text engine in Adobe Flash Player 10, which delivers advanced, easy-to-integrate typographic and text layout features for rich, sophisticated and innovative typography on the web. The framework is designed to be used with Adobe Flash CS4 Professional or Adobe Flex®, and is already included in the next version of Flex, code named Gumbo. 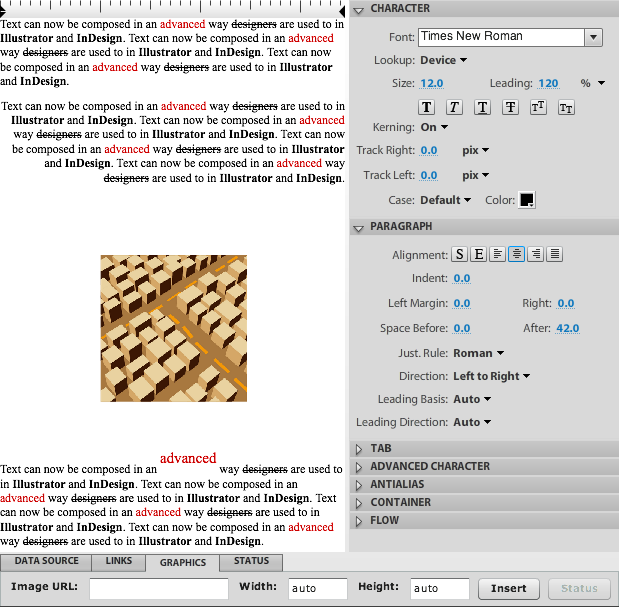 Developers can use or extend existing components, or use the framework to create their own text components. Source code and component library for TLF are now available as open source at no charge under the Mozilla Public License at www.opensource.adobe.com. Rich developer APIs to manipulate text content, layout, markup and create custom text components. For a complete list of features and more information regarding this beta, please see the release notes. Please help us ensure that the final release of the Text Layout Framework will be of the highest quality by installing and using this beta version and sending us your feedback on the Text Layout Framework forum. The Text Layout Framework is now an open source project. Visit their site to get demo version of plugin. [Vlad] loves drawing world maps! 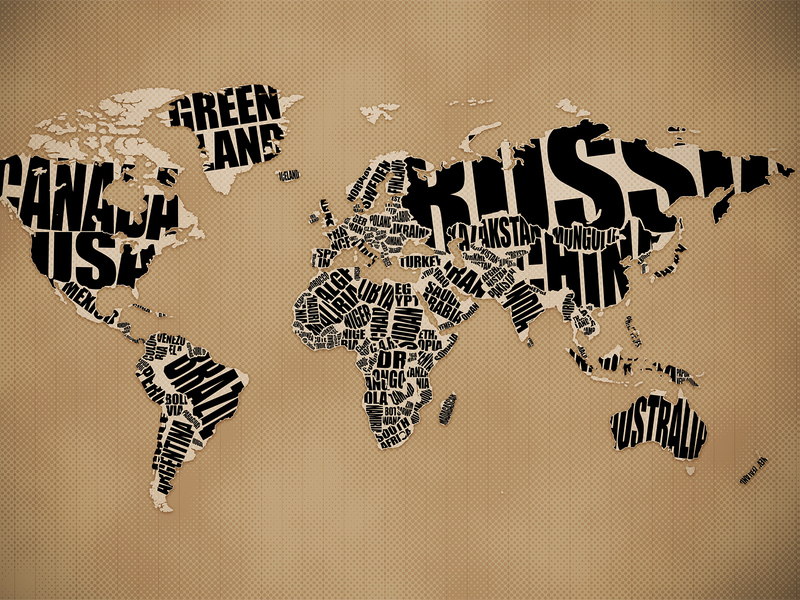 This time, shape of each country is represented by its name. Download these and others from Vlad Studio in multiple sizes. [Editor’s note: Nifty typography (text word art) graphic in the shape of a plant with roots reaching down into the earth. Good use of color to establish figure-ground. Illustration for article about the study of the origin and evolution of words.] View larger (PDF). CLASSES APART. Article by Michael Birnbaum. Graphic by Todd Lindeman. Nov. 24th, 2008. First in a series of occasional short takes on unusual courses in local schools. For a few hours every other afternoon, Latin and Greek roots rain on Phil Rosenthal’s etymology class at Park View High School in Sterling. Etymology — the study of the origin and evolution of words — might be considered the domain of tweedy types who reek of pipe smoke. But Rosenthal tries to give his 20-some students a sense of the stories and shades behind the words they use every day. “Kids see a word that to them is foreign, and they run away from it,” Rosenthal says. He started the class with a group of other Loudoun County teachers in 1990, and it remains one of the few of its kind in the country. On a day focused on Latin words including arena and sinister, Rosenthal talked about the twists words take as they make their way into English. Arena, for example, means “a sandy place” in Latin. Sand was scattered in the center of Roman stadiums where gladiators fought. Sinister derives from Latin for “left,” with the implication that lefties were suspicious. An understanding of the complexity of language might give a leg up to students entering college. Students in Dennis Baron’s English classes at the University of Illinois “tend to know almost nothing” about word origins. “They don’t see roots and those sorts of things,” said Baron, a professor of English and linguistics. Although he wondered whether etymology might be better as a component of a larger high school class on linguistics, Baron said he thought it was “a way of getting at high school English without the overemphasis on formal grammatical stuff” in many secondary curriculums. That seems to be borne out in the class. This week, students are starting a unit on the influence of mythology on the language. They’ll give presentations about Sisyphus and Narcissus, who lend their names to “Sisyphean” and “narcissistic.” Etymology “just brings all this general knowledge together,” Rosenthal said. Angela Detanico and Rafael Lain are a pair of young Brazilian artists, working in their home country and in France. Some of their work explores fonts and maps. 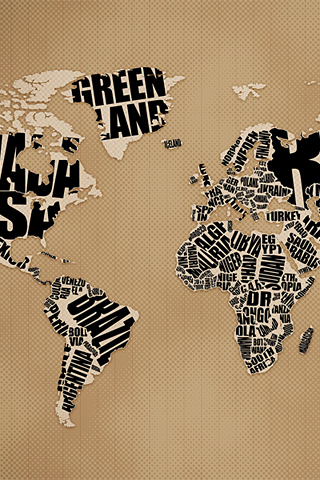 Typography meets cartography in this little work, entitled ‘The World, Justified’. It shows the world we live in as only one of four possibilities, the others being a left-aligned, centred and right-aligned world. Our world is a justified one, i.e. aligned with both left and right margins. One could make all sorts of geophilosophical comments about these alternate possibilities. Or about the fact that the world we live in is neither left, right nor centre, but ‘justified’. Could it really be that, as Voltaire’s Candide asserted, tout va pour le mieux dans le meilleur des mondes possibles (’Everything is for the best in the best of possible worlds’)? Many thanks to Eric Angelini for sending in this map, found in its original context at the aforementioned artists’ website, detanicolain.com (click on the red line).